It won't be long before Overwatch players will get to travel to the Happiest Place in Video Games. 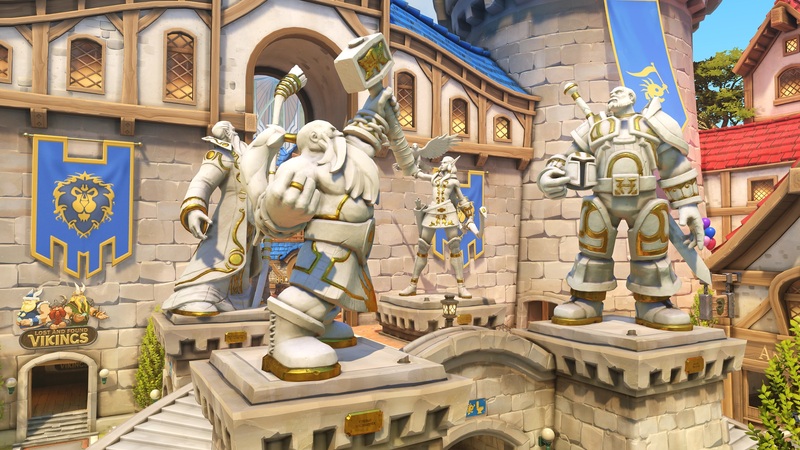 The Blizzard World map is coming soon and it represents years of the publisher's rich history in a single payload race. For the Overwatch development team, it was an honor to get to pay homage to Blizzard's gaming library and also to a certain other theme park that may be located in Orange County. During the second day of this year's BlizzCon, production director Chacko Sonny discussed the inspiration behind Blizzard World. "As with any map, it always starts with a core nugget of an idea," Sonny told Shacknews. "It comes from one of the designers or someone on the team, who just has this central concept they want to build around. In this case, [Overwatch Senior Designer] Michael Chu told me this story from a prior BlizzCon and one of the panels, where [former Blizzard VP of Story and Franchise Development] Chris Metzen was talking about the idea of a Blizzard-based theme park, just before going on stage. And he and Chu were talking about it and whether to even mention it, but it started at that moment, this idea of a theme park built around all of the franchises that Blizzard has, so we could relive all the experiences that we've had growing up playing these games. And that really resonated with Chu and with a lot of the designers, many of whom spent a lot of time, in addition to playing these games, worked on those games. We had a level designer who worked on Diablo for a long time, we have guys like [Overwatch lead designer Jeff Kaplan] who worked on Warcraft, and that level of talent and exposure to the franchises across the team. So with that core of an idea, it gestates for a while, the guys think about it before it comes into consideration around the level-design process. There was a lot of work that went into what it would look like. Interestingly enough, one of the hardest parts was figuring out what to call it. That one took a long time, even as the level was being built in white-box form. I think there was all kinds of discussion, even as that idea germinated throughout the rest of the team around what we could call it. "There was a very important other part of this level design creation that took place on this particular level that is not part of every other one that we do and that is, we're surrounded by and constantly inspired by all the other teams at Blizzard. Incredible talent that's been working on these titles for a very long time. So as the level was taking shape, literally right from the concepting stage, we'd share the progress on that level with all of the key stakeholders from those teams. Art directors would look at the art and level designs and we'd grab assets from other levels within those other franchises and bring them over and see what would be necessary to give that Overwatch feel. They'd review it and make sure everything looked good with the style that we had. It was a little bit more involved than other level design processes. Aaron Keller, assistant game director, took a lot of ownership of that particular level and made sure that it really reflected the tone and the feel of Blizzard, as a whole. And as is the case with a lot of levels, the magic of that level, the detail and polish, all came together in the last few weeks." But while Blizzard World is undeniably a magical place, it almost feels like it would be a shame to stop with a single map. With that in mind, Shacknews asked Sonny if it would be possible for Blizzard World to make a return someday. 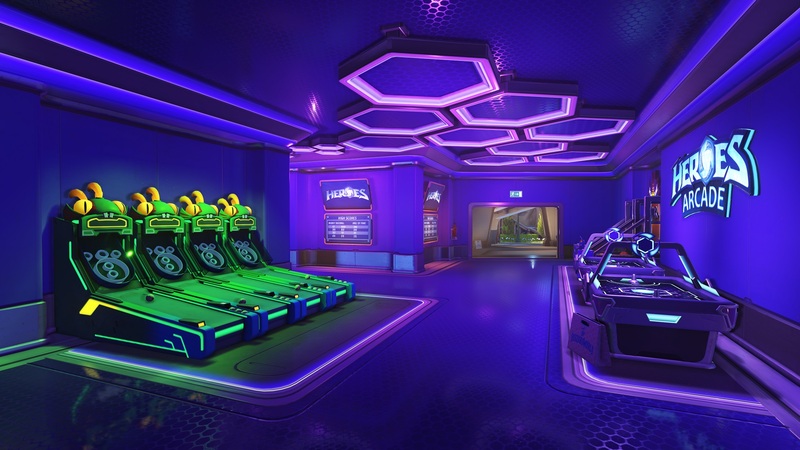 With the current level set to be a payload race, would Overwatch potentially create a different objective map in a different part of Blizzard World? "Did you see the map of all of Blizzard World?" Sonny asked, in reply. "You saw how it's just a portion of it? There is more of Blizzard World that's out there and we're certainly inspired by that idea that in the Overwatch universe, the other franchises... Blizzard is a thing that exists. D.Va plays StarCraft with her dad. We love this idea that Blizzard exists and these franchises exist as universes within the Overwatch universe. But we have not announced anything about any additional expansion." With that said, the Overwatch team will continue to pay homage to its sister franchises, announcing over the course of BlizzCon weekend that hero skins from other Blizzard games would soon make their way into Overwatch.